Grand-Prix: 1997, 1998, 1999, 2000, 2001, 2003, 2004, 2005, 2006, 2007, 2008, 2010, 2011, 2012. Challenge: 2006, 2007, 2008, 2010, 2011, 2012. Grand-Prix Third: Marianske Lazne 2010. Qualifying Round: First 2011, Second 2001, 2003, 2004. Finalist: 2001, 2004, 2005, 2007. Semi-final: 2002, 2006, 2009, 2010, 2011. Appearances: 1997, 1998, 2000, 2001, 2002, 2005, 2006, 2007, 2008, 2009, 2010,2011. German Longtrack Championship: Second 2004, Third 1999, 2012. German Silver Helmet Winner: 2005. 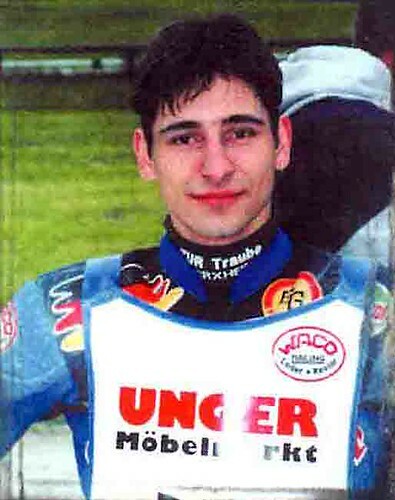 Southern German Longtrack Champion: 1998, 1999, 2005. Champion of Champions: Second 2005.